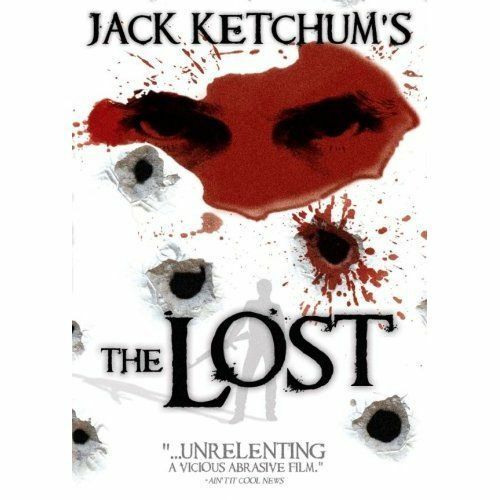 The Lost Based On Real Serial Killer Charles Schmid! You've got to check out the DVD of The Lost (Anchor Bay). I canât impress enough how great this disturbing thriller based on a novel by splatterpunk author Jack Ketchum is. Set in Sparta, New Jersey, itâs about the psychotic Ray Pye (played with frenetic glee by Marc Senter) who crushes beer cans in his boots to make himself look taller, slicks back his jet black hair and wears eyeliner to accentuate his coolness. Heâs out drinking in the woods with his masochistic girlfriend Jennifer (Shay Astar) and his drug mule doormat pal Tim (Alex Frost) when he spies two women out camping. He gets set off by what he assumes are âlezzies!â and shoots them for the hell of it, much to his friendsâ horror. The movie shifts years later where itâs obvious Ray has gotten away with the crime and is working for his mother at the Starlight Motel, while a cop keeps a beady eye on his movements, convinced heâs the killer. But Ray is too busy juggling women, snorting coke, getting more irrational and the flies buzzing in his head are getting louder and louder. Itâs only a matter of time before itâs killing time again. The ending is so beyond the pale you will not believe it -- itâs outrageously violent and seriously shocking, but in keeping with the dark tone of Ketchumâs novel. The movie's directed by Chris Sivertson who took undeserved critical hits for his film starring Lindsay Lohan, I Know Who Killed Me, which was loony and wonderful. The Lost is a brutal but brilliant film. What I finally realized later was that itâs actually based on the notorious serial killer Charles Schmid -- the Pied Piper Of Tuscon -- who killed several women in 1964. Schmid, who liked to be called âSmitty,â dyed his hair, created a fake mole on his cheek, wore thick makeup on his face, placed crushed beer cans in his boots to make himself taller and bragged that he was in a band -- much like Ray Pye. Schmid made several escape attempts from prison and was finally killed by other prisoners in 1975. When you see photographs of Schmid (included here) you realize what a great casting choice Marc Senter was. Senter is starring in Chris Sivertsonâs next film called Hippy which I canât wait to see. Siverston is a fascinating director and one to watch.